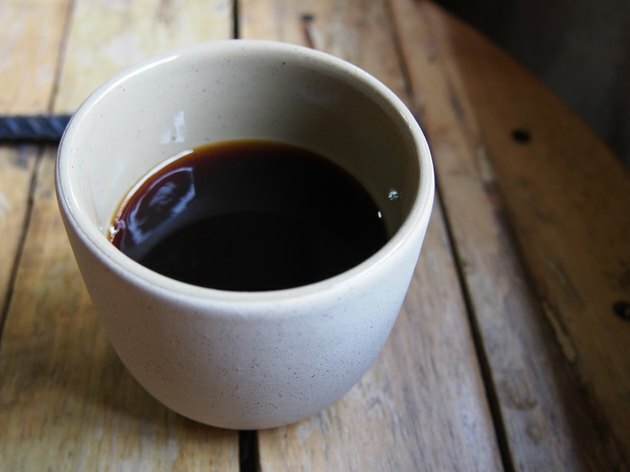 Can You Drink Coffee the Morning You Have a Fasting Blood Sugar Test? Glucose provides a major source of fuel for your body. When everything is working correctly, your cells absorb glucose from your bloodstream and either use it for energy or store it for later. Problems can occur when your body is unable to utilize glucose properly. Your doctor orders a fasting glucose test to help diagnose glucose metabolism problems such as pre-diabetes and diabetes. Your doctor might also order a fasting glucose test to check how you're managing your blood sugar. Eating or drinking beverages can alter your test results. A fasting glucose test measures the level of glucose in your blood during a fasted state. This type of test requires that you avoid food and beverages for at least eight hours. You can drink water, but cannot consume coffee or any other beverage. To make it easier, schedule an early morning appointment after a full night's sleep. This way, you can sleep for eight hours and go to your appointment upon waking. Feel free to take some coffee with you in a thermos to have right after your test is complete. NHS Choices: Can I Eat and Drink Before Having a Blood Test? Can You Drink Tea in the Morning Before a Fasting Blood Test?